A year later Filipp together with Alla went on tour in Germany and Austria, as well as he gave his first solo concert in Perm. 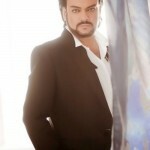 And in the same year, Kirkorov was a finalist of the prestigious festival Song of the Year. 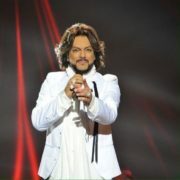 In 1990 Kirkorov with the song Heaven and Earth won the first place in the competition Schlager. Two years later, the music video for the song Atlantis was recognized as the best. 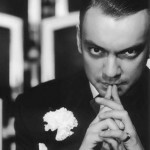 In 1992 Kirkorov went on tour in the USA, Germany, Canada, Australia and Israel. 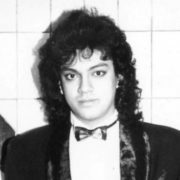 Then, in 1993, the singer was awarded Ovation, Best Singer of the Year and Golden Orpheus awards. 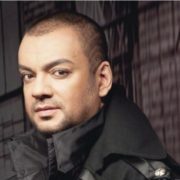 On March 15, 1994 Kirkorov married Alla Pugacheva in St. Petersburg. By the way, Filipp is 18 years younger than Alla. Two months later, they married in Jerusalem. 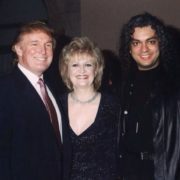 In November 1994 the couple gave a joint grand concert in Atlantic City, in the big American casino Taj Mahal. 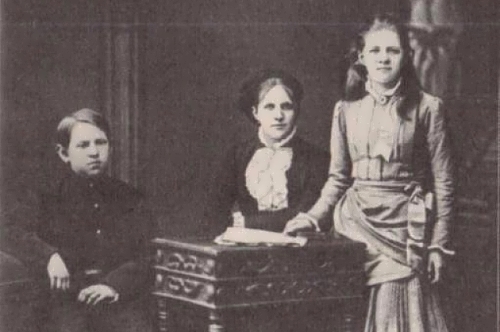 And six months later the singers went on tour in Israel. 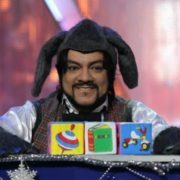 In 1995 Kirkorov took part in the popular Eurovision song contest with the song Lullaby For The Volcano. However, the singer took only the 17th place. 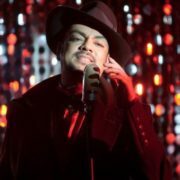 After a failure at the Eurovision Kirkorov decided to become a composer and producer for the contest participants from CIS countries. In 2005 Angelica Agurbash took only the 13th place in the semifinals. 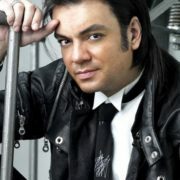 And in 2007 Dmitry Koldun performed Kirkorov’s song Work Your Magic. 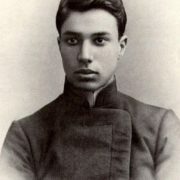 The Belarusian singer took the 6th place. 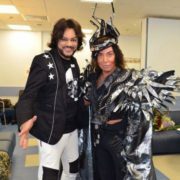 Kirkorov’s third attempt was successful. He wrote a song Shady Lady for Ukrainian singer Ani Lorak, who won the 2nd place at the Eurovision in 2008. 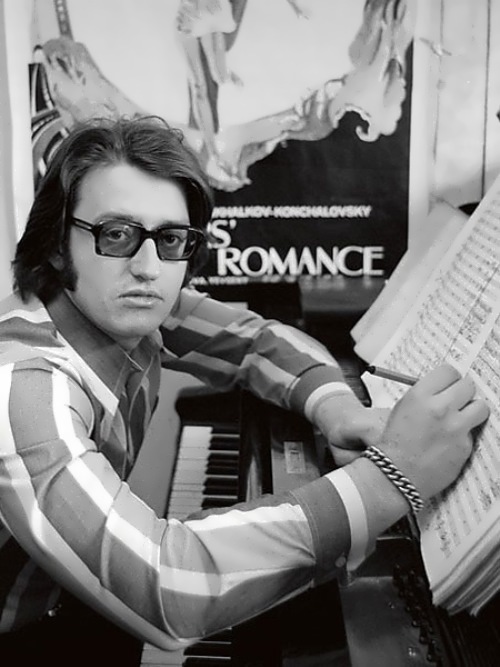 For such a breakthrough, Filipp was awarded the title People’s Artist of Ukraine by President Viktor Yushchenko. In 2016, Philip became the main assistant and producer of the Russian singer Sergei Lazarev, who participated in the Eurovision Song Contest 2016 with the song You Are The Only One. But the results of the competition turned out to be unexpected – according to the audience vote Lazarev became the undisputed winner of the competition, but in the final table he took 3rd place, as the jury gave the victory in the Eurovision-2016 to the Ukrainian performer Jamala. 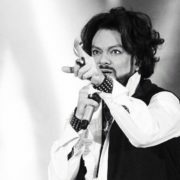 What is more, Kirkorov was invited by Michael Jackson himself to represent Russia in the charity program Michael Jackson and Friends: What more can I give. 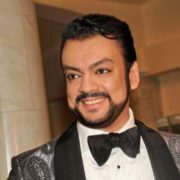 In 2002, Philip Kirkorov Production Company received right to stage the Russian version of the popular musical Chicago. It was named Premiere of the year. 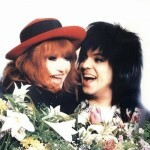 In 2005, Kirkorov and Pugacheva divorced. 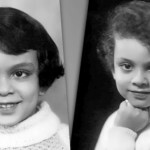 They were together for 11 years. 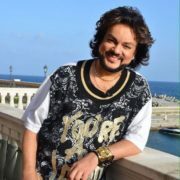 You know, Kirkorov had a love affair with TV presenter Tina Kandelaki after the divorce. 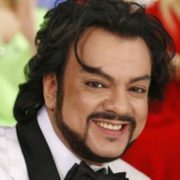 Moreover, Kirkorov starred in many films, including Beauty Salon, Love in the City, as well as musicals Crazy Day, The Adventures of Verka Serduchka, in the Mexican TV novel Like In The Movies, Space Pirate Captain Harlock live-action (2014), Galaxy Express 999 live-action (2014), Dieter: Der Film (2015). Another bright event in the artist’s work was a grandiose show called I. 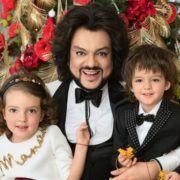 On November 26, 2011 surrogate mother gave birth to Kirkorov’s daughter Alla Victoria in America. 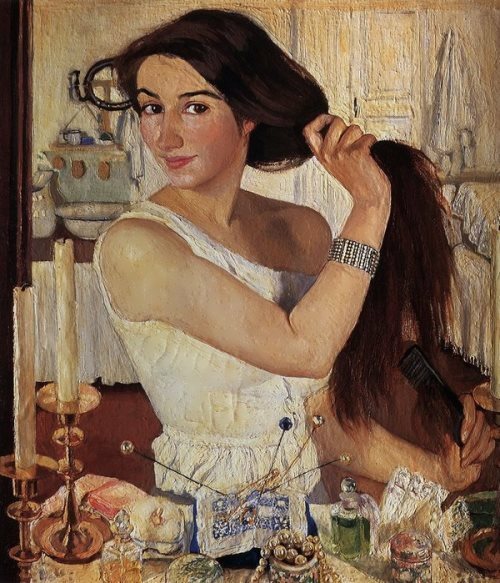 The little girl was named after Filipp’s mother Victoria and Alla Pugacheva. 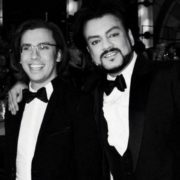 Famous Russian TV presenter Andrey Malakhov is a godfather of the girl. 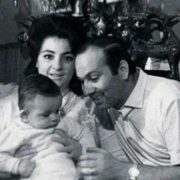 His son Martin Cristo was born on June 29, 2012 to a surrogate mother. 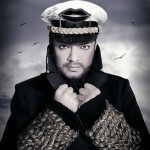 The boy was named in honor of Kirkorov’s idol singer Ricky Martin plus Bulgarian name Cristo. 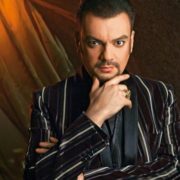 – Kirkorov is an eight-time Ovation winner, five-time World Music Awards winner, multiple Golden Gramophone and Song of the Year awards winner. 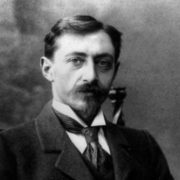 – In his repertoire there are more than 150 duets and trios with various artists. – Filipp is afraid of the dark and flights. 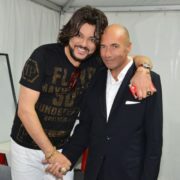 – Bedros Kirkorov introduced his son to Alla Pugacheva, when the future singer was only 11 years old. – Early in his career, Filipp made a proposal to already popular Masha Rasputina, but she laughed and refused. 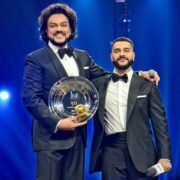 – At the film festival Kinotavr in 2002 Kirkorov was the winner in the nomination Best Actor for his role in the musical Evenings on a Farm near Dikanka. 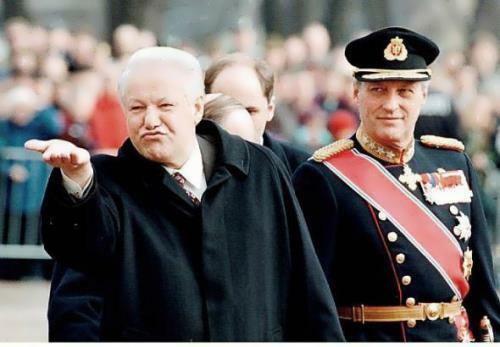 – He has his own boutique in Moscow Phill 4 You. – His hundredth concert in Sochi entered the Guinness Book of Records.